In the vicinity of the road known as Piedra del Baño, a UFO appeared from the south, looking at first like a large yellow light. Upon approaching the ambulance, it was seen to have the shape of an inverted saucer bowl (classic flying saucer shape), but upon more detained examination, it was determined that its shape was really that of a cigar, not very clear due to the powerful light emitted by this UFO. It light up the area over 100 meters around, giving the impression that it was a clear, cloudless day. Nocturnal insects could be clearly seen. 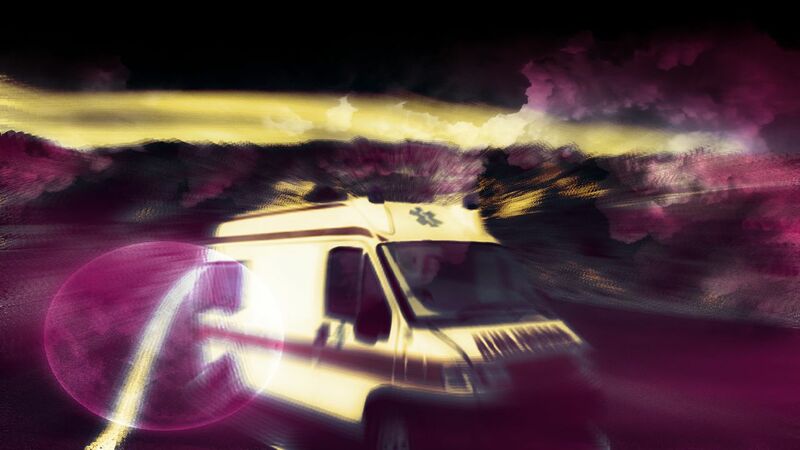 The UFO began circling the ambulance, placing itself both at its sides, behind it and in front of it. Driver Aquiles Gonzalez reduced his speed considerably, fearing a possible collision with the UFO. He dropped from 120 kmh to a hundred, slowing down even further to 70 kmh and less. The patient’s serious condition was causing him to drive at 120 kmh. A speed similar to that of the ambulance was calculated for the UFO, and a length of 35 to 40 meters more or less. According to ambulance personnel, the UFO appeared to be solid at its core. It performed incredible maneuvers; all of its turns were either in straight or sharp angles. However, its maneuvers in the skies of the Maule appeared to be curvilinear. They spoke little for the rest of the journey. They thought that doing so would cause the UFO to reappear. The UFO did not change colors at any moment during its orbits around the ambulance – its hue remained between yellow and very bright white. They did not discuss the sighting upon reaching Talca, fearful of mockery by the duty staff at the hospital, but they did notice the time on the clock in Talca. The UFO did not leave a wake as it flew. The UFO approached the road surface several times ahead of the vehicle, coming to between 3 and 5 meters above the ground. The pavement of the road linking Constitución with San Javier and later on with Talca is of the highest quality. Ambient temperature increased noticeably, with Aquiles noting that such a heat was unusual at that time of the morning, but this could have been brought on by the state of his nerves. All of the UFOs maneuvers were silent (Paramedic Rosita Cancino will have to describe her own nervous and physical problems in person). 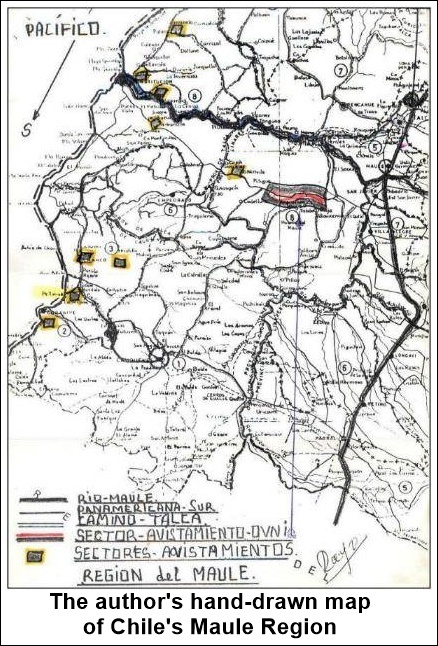 Something very strange happened with the time it took for Aquiles’s ambulance to cover the distance from Constitución to Talca. Journeys with gravely ill patients take approximately an hour and twenty minutes. In this case, the trip only took 50 minutes, timed by the mechanical wristwatches of the ambulance staff, despite having had to slow down and dodge the UFO for some 15 to 20 minutes for over 15 kilometers. When [the UFO] vanished, it did so at tremendous speed toward the Andean Range, vanishing in little over 4 seconds. I am attaching a scaled map of the area from Constitución to the Andean Range. All of the points indicated have been visited by UFOs. As you can see, time shrank for us. Blame H.P. Lovecraft for putting thoughts of the ultimate forbidden manuscript in the minds of all readers of the occult - reality and fiction. The Necronomicon, that powerful grimoire compiled by Abdul Alhazred "the mad Arab" and its subsequent alleged translations have transformed it into the holy grail of books on the occult, whose existence is believed by half the world and denied by the other. Danish scholar, come across one such text in the early 20th century? In searching through a catalogue, Heiberg came across a book whose existence had been overlooked despite the two great sacks of the city of Constantinople. The manuscript was of an ostensibly religious nature, but the careful penmanship of some forgotten medieval scribe concealed odd mathematical signs, suggesting that the original had been erased over to make space for the new text. Careful study revealed that the underlying text was, in fact, an Aristotelian treatise on mechanics that had been lost since antiquity. In 1999, a curious news item emerged from the Middle East regarding the discovery of an unusual manuscript, believed by many to be another addition to the Dead Sea Scrolls due to the use of some of the same phrases and metaphors as the existing scrolls. Identified as the “Angel Scroll” and describing a journey to the heavenly realm, the papyrus was considered a significant discovery that would shed light on ancient Hebraic mysticism and the early years of the Christian tradition. The unusual scroll was purchased by the Benedictine order in the early 1970s and later taken to one of the order’s monasteries on the border between Austria and Germany where it was subjected to intense scrutiny. In a fashion worthy of “The Da Vinci Code” or any other contemporary scriptural thriller, the monks involved in analyzing the scroll were sworn to secrecy. But one of them--known only as “Mateus”—was unable to keep the secret and left a transcription of the text and a commentary with a close friend, who conveyed it to an Israeli academic and a physician interested in the Kabala. 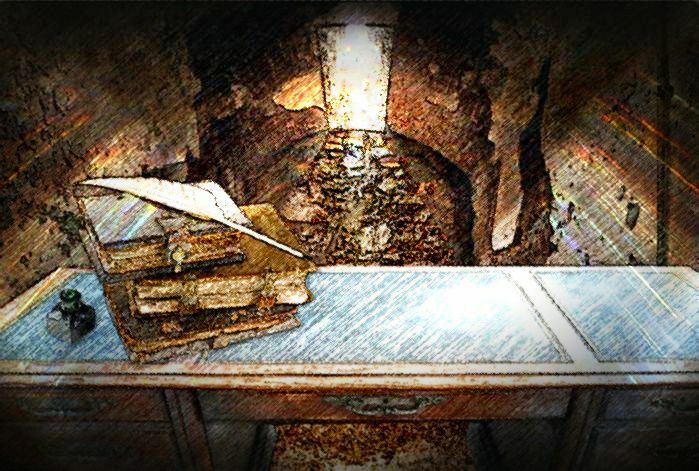 The “Angel Scroll” – according to the “Mateus” transcription – is the story of Yeshua ben Padiah’s religious experience during his stay at Ein Eglatain, a monastic community on the eastern shores of the Dead Sea, and how the angel Panameia took him on a journey through the various levels of heaven. The text also goes on to describe embalming techniques, the resurrection of the dead, and the use of curative herbs and stones. The phrases “sons of light” and “sons of darkness”, common to the Dead Sea Scrolls, also appear in this particular scroll with certain grammatical similarities. Despite the obvious excitement over such revelations and the possibility of another significant addition to the Qumran Texts, Bargil Pixner, a Benedictine abbot and an expert in the Dead Sea scrolls, was openly skeptical about the revelation – particularly because the oath-breaking monk “Mateus” was quite alive and well, and if such a manuscript were in the possession of his order, Pixner would be the first to know. Dan Brown’s “Da Vinci Code” and “Angels and Demons”, along with other works of popular fiction, have made the average reader (and viewer) interested in the veritable tidal wave of books and documentaries involving papyri and parchments kept in secret by various religions out of the fear that their disclosure could upset their theological applecart, to employ a lighthearted turn of phrase. But do such written works really exist? Are there texts whose very existence could cause history to be re-written and cause doctoral theses to become instantly worthless? Books whose nature has the slightest whiff of the paranormal about them? The mind immediately conjures up the grim image of the blind librarian Jorge de Burgos in Umberto Eco’s The Name of the Rose and his efforts to place poison on the pages of the second volume of Aristotle’s Poetics – a book considered dangerous due to its discussion of comedy and laughter as weapons against the establishment. Monsignor Mejía advised the La Nación interviewer that the oldest series of documents kept at the Vatican goes back to papers from the reign of Pope Innocent III in the year 1198, although there are older individual documents going back to the papacy of John VIII in the Ninth Century A.D. The Vatican’s most treasured manuscripts include The 1209 Bible, copied from a 4th century manuscript, 7th century gospels from a long-vanished German abbey and 3rd century papyrus copies of the Letters of St. Peter. Everyone knows about the Voynich Manuscript and its intricate illustrations, which have been interpreted as meaning everything from medicinal treaty to a book on high magic. Much has been written about it over the decades, with no conclusive result being obtained. Cryptographers are usually infuriated at esoteric musings over the book's true nature and meaning, but there are even other, less known documents. The Rohonc Codex is among them. The Codex Rohonc appeared in the mid-1800 and its bizarre script caught the attention of academicians and code-crackers alike, who did their level best to decipher it. A Hungarian historian dismissed the manuscript as a hoax, going as far as to blame a famous antiquarian whose works had deceived many a scholar. Nearly five hundred pages long, the Codex Rohonc has a profusion of symbols, interspersed with illustrations of a religious/ military nature. As to the language represented by the symbols, experts have ventured many Eastern European tongues (Dacian, Cuman, Hungarian) as likely candidates. The document is kept by the Hungarian Academy of Sciences, where it awaits a new generation of experts to tackle the mystery. The contents of some books – treatises on witchcraft, alchemy and other occult subjects – makes them irresistible to specialized collectors who will stop at nothing to add them to their personal libraries. The removal of a paperback spell book from the local library is a small loss, but what happens when a major university library loses texts with an assessed value of one million dollars? A set of thousand year-old Chinese parchments and books dealing with “mysterious subjects from the Sung, Yuan, and Qin periods” vanished from Harvard University’s Yenching Library in October 2000. The Yenching holds the largest collection of Far Eastern books outside of Asia. The texts, described as being of enormous historic and literary significance, were removed from a guarded pedestal in the rare book collection. Senior Librarian Nancy Cline contacted the FBI immediately to report the theft and the missing materials were included in an FBI website aimed at alerting potential buyers of ill-gotten works of art and books. God or human wizard? All books of esoteric lore speak reverently of Hermes Trismegistus or Hermes Thrice Great and his coveted "Emerald Tablet". Worshipped by the Greek residents of the Egyptian city of Alexandria, and identified with the ancient deity Thoth, the scribe of the underworld, Hermes Trismegistus was believed to have been a human monarch who ruled for three thousand years and wrote an amazing thirty-five thousand books -- a useful way of filling up three millennia. Yet only fragments of this mythic figure's writings have been handed down from hoary antiquity, ironically through the works of Christian authors. The most significant of these works was a document referred to as the Emerald Tablet, which was supposedly buried along with Trismegistus's mummy under the Great Pyramid of Gizeh. The Tablet allegedly reveals the secrets of alchemy. Although the Hermes Thrice Great's mummy still waits patiently for archaeologists to find it (although the "Tomb of Osiris" discovered in 1998 does offer fascinating possibilities), part of the Emerald Tablet's metallurgical secrets can be found in the Leyden Papyrus--brought back to Europe in the 1820's by Johann d'Anastasi--which escaped the destruction of alchemical texts mandated by the Emperor Diocletian in 298 A.D.
Fabio Zerpa, better known for his work in ufology, cites the Count de Gebélin's belief that the Emerald Tablet is merely another name for the legendary Book of Thoth -- a forbidden book some ten thousand years old which would have been the basis of Egyptian civilization and occultism, as well as the key to "mastering the secrets of the air, the sea, the earth and the heavenly bodies". In Primitive World, his treatise on Egypt, de Gebélin remarks that the Book of Thoth survived destruction because it was cleverly disguised as a game, as we shall see below. An Egyptian priest, Nefer-Ka-Ptah, retrieved the book, which had been sealed in a series of nested sarcophagi and kept in the bottom of Nile. Upon studying it, the priest was able to learn the art of numerology, communication with entities living across space and time, clairvoyance, and the art of building "magic mirrors" which do not reflect the viewer's countenance, but rather other worlds inhabited by loathsome beings. Nefer-Ka-Ptah died a suicide, according to the story, and the Book of Thoth was spirited out of Egypt. Its magical powers and hidden knowledge would spread around the world in the form of the Minor and Major Arcana of the Tarot, which first appeared around 1200 A.D. in Italy as carticellas ("little cards") and were banned in 1240 and 1329 by bishops across Europe as malign. In his book The Black Art (Paperback Library, 1968) Rollo Ahmed, notes that the High Priestess card represents the Egyptian goddess Isis--perhaps the most tangible link to its Egyptian origin. Some books are not merely forgotten in libraries, or conveniently placed in hard-to-access locations to keep their availability restricted to a few chosen: others are actively sought out for destruction, as occurred with the works of Alexandre Saint-Yves d’Alveydre, a French occultist whose works – known as “the Missions” – purportedly disclosed contact with the sources of ancient hidden wisdom. “The Mission of India in Europe and The Mission of Europe in Asia” were allegedly complied by means of astral travel on the author’s part, enabling him to access ‘the Earth’s secret lairs” in search of knowledge. While not a Theosophist, the works of Saint-Yves d’Alveydre read like an impassioned Blavatsky, dropping the names of occult brotherhoods and deities. Descriptions of the wonders of Agartha appear to constitute the principal goal of the book. Jacques Bergier, in his own book on forbidden manuscripts, mentions another set of books destroyed by orders from a higher power: “In 1897, the heirs of Estanislao de Guaita were given orders to destroy four unpublished manuscripts by the author, dealing with the subject of black magic. This order was carried out to the letter, and not a trace remains of these manuscripts.” The reasons for these purges of forbidden books, he theorizes, is an effort to keep certain knowledge from becoming widely known before humankind is able to make proper use of them, or to spare our species from a fate that perhaps only H.P. Lovecraft could imagine. One can easily picture the scene: a cold night in 19th century St. Petersburg under the double-headed imperial eagle. A cloaked man walks along the burnished halls of the Winter Palace, his boot heels clicking on polished marble. The palace guards allow him to pass unchallenged, fully aware of who he is and who he reports to, deep in the recesses of the palace. He eventually arrives at the study of Nicholas, Emperor and Autocrat of all Russia; a guard nods and opens the door. The man enters, bows stiffly, and places a bundle of papers on the Tsar's desk. The Emperor thanks his agent politely and dismisses him, proceeding to leaf through the dossier's cold pages. It was October 1903, and the tsarist secret police had just assassinated a scientist, Mikhail Filipov, whose activities had been been monitored for some time, suspecting him of being a clear and present danger. The manuscript undergoing the emperor's scrutiny bore the title "The Revolution for Science or The End of All Wars" - anything bearing the word 'revolution' at this period in time was considered a threat to the body politic - and we can picture the emperor's brow narrowing as he read not the political tract he was expecting to see, but a most peculiar document. Filipov had made apparently made a scientific breakthrough. He managed to find a way to cause an explosion by means of a focused short-wave beam. "I am able to transmit," he wrote excitedly, "the full force of an explosion in a short-wave beam. The explosive wave is transmitted fully along an electromagnetic carrier wave, causing a stick of dynamite exploding in Moscow to make its effect felt in Constantinople. My experiments show that this phenomenon can take place a distance of thousands of miles; the use of such a weapon during a revolution will cause uprisings among the people and will make wars completely impossible." We can also imagine the tsar taking a slip of paper from his desktop and scribbling a note with a pen, signing it with a flourish. A ring of a concealed bell would summon a courtier to pick up the order and deliver it to the proper channels. Filipov's laboratory and its contents - particularly his papers - would be utterly destroyed by the secret police. 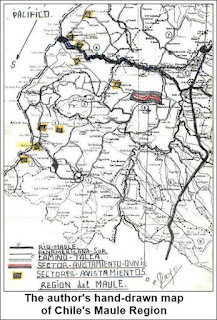 If the tsarist secret police had not treated the scientist “with extreme prejudice”, as we say nowadays, would his scientific papers have served to create a weapon that would have been in service around World War I, adding to the carnage not only of the battlefield, but causing the destruction of distant capital cities throughout Europe and even farther afield. Perhaps the loss of this information – however despicable the motives of the imperial authorities – saved millions of lives in the future. Perhaps a kinder fate awaited Robert Payne, author of Zero: The History of Terrorism, in which he provided indisputable proof of the existence of secret governments on a planetary scale, soon found out that he may have stumbled upon something much more perilous than a cabal of secret bankers or Trilateralists. Shortly after the book was published in 1951, the first edition was almost entirely purchased by an unknown party. In spite of Payne's apparently stunning revelations, not a single item appeared in the press, nor were any reviews available. In true mystery fashion, Payne died only months later. The story appeared in French author Serge Hutin's Gouvernants Invisibles (Invisible Rulers). The presence of these anomalous objects was visible, since the air show and flights had been cancelled. A rhomboidal UFO was sighted over the Tablas del Pozo district of Ecatepec, Mexico State, by UFO hunter Salvador Ramirez, who had recorded a large brown UFO hanging in mid-air at low altitude. The UFO displayed considerable stability in spite of the prevailing winds, thus dispelling the possibility that it could have been a balloon, as the object retained control of its movements. 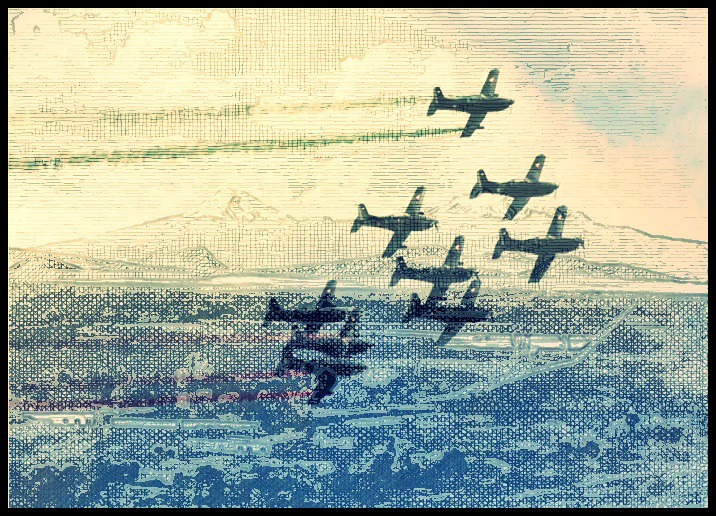 At that very same time, the Mexican Air Force was holding an air show celebrating the 205th year of the Independence of Mexico. All aircraft other than military were forbidden to fly over the area. Moreover, the air operations of the Mexico City International Airport were interrupted for nearly four hours to enable the free movement of the military jets. The object in question was a rhomboidal craft similar to the one recorded on July 15, 2015 over the Volcán de Fuego in Colima, which went viral on social media when it was made known by the WebCams de Mexico digital platform. At 11:07 hours on September 16, to the south of Mexico's Federal District, a crew of the Tercer Milenio television show, led by Carlos Clemente, was able to capture a disc-shaped, black flying object in flight, thanks to the expertise of researcher Alfonso Salazar. This UFO flew at low altitude, nearly at the level of the residential structures in the area, without making any noise whatsoever. Simultaneously, in the vicinity of Indios Verdes, UFO hunter Fabián Meléndez managed to capture an object having the shape of an inverted pyramid, motionless at low altitude, and which did not display any type of mechanism whatsoever with which to fly in our atmosphere. 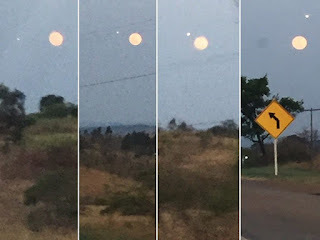 These sightings made us realize that there had been considerable UFO activity in Central Mexico between 11:00 and 13:00 hours. Could it be that these anomalous flying objects are attracted by military aircraft and helicopters, or simply wanted to draw the citizenry's attention and make themselves visible, especially since no aircraft were allowed to fly over Mexico Valley between 10:00 and 14:00 hours. 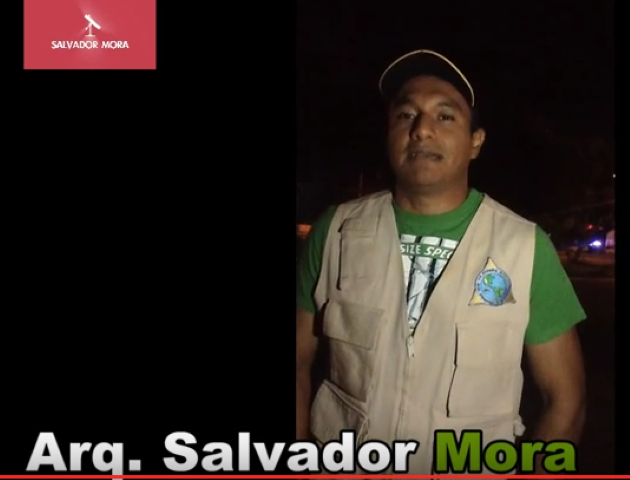 Such sightings have been documented on video since September 16, 1991 when Vicente Sanchez, located in the Tlalpan precinct, managed to capture the presence of a mysterious UFO very close to the airplanes, which is not allowed for safety reasons. This type of UFO has been reported not only in Mexico, but also in the city of Milan, Italy on 22 December 2013 at 13:13 hours, when UFO hunter Antonio Urzi managed to record an UFO shaped like an impressive brown rhombus, displaying great stability, videotaped on a professional HD video camera, showing an impressive amount of detail. Without question, we must look skyward and will surely be rewarded at some point with the chance to see these strange anomalous flying objects. The first photographs of unidentified flying objects (UFOs) in world history were taken from Zacatecas and the Mexico's first weather forecasts were issued from here, says astronomer Alejandro Muñoz. 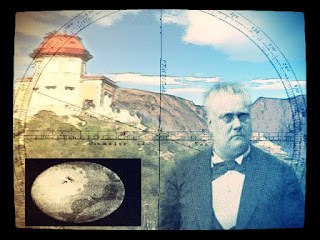 The president of the Zacatecas Astronomical Society recalls that in the 19th century, this state was the national and international pioneer in matters of astronomy and had two of Mexico's first astronomical observatories. Both sites were managed by José Arbol y Bonilla, the first surveying engineer to graduate from the Instituto Literario de García, currently the Universidad Autónoma de Zacatecas (UAZ), where he also taught. This native of Zacatecas undertook the task of coordinating the donation of the state's first telescope from the French government, as well as the equipment for the weather observatory installed in Cerro La Bufa, Muñoz adds. The president of the Zacatecas Astronomical Society explains that France delivered the telescope to the university in 1882, to study the transit of Venus across the Sun. For this reason, it was installed in the observatory that today bears the name of Manuel Rios Herrera. It was with this telescope that Arbol y Bonilla captured and photographed the world's first UFO images in 1883, although it was later ascertained that they were not flying saucers, nor had anything to do with extraterrestrial fantasies. They were the residue of a comet, states the investigating astronomer. In turn, Gloria Eleana Espinoza Valdez, manager of the UAZ observatory and the French telescope for the past 11 years, reminds us that on December 6th of this year, [the telescope] will have been in service for 133 years. Despite its age, the telescope offers perfect views of distant heavenly bodies such as the moon, planets and stars. Zacatecas offered two advantages over other locations that influenced the French donation. Its elevation above sea level is in excess of 2800 meters (9800 feet) and its semi-arid climate enable a perfect view of the stars. Located in the Unidad Academica de Ingenieria Topográfica of the public university, the observatory and the telescope are still operating and in service from 20:00 to 22:00 hours. The facilities are used for educational purposes, not only for students but the public at large, and particular for children, in order to introduce them astronomy, says José de Jesús García Lara, coordinator of Topographic Engineering. The public catalogue of the National Autonomous University of Mexico (UNAM) only recognizes 11 observatories in the country as official, two of which are in Zacatecas: the UAZ's Manuel Rios Herrera telescope and the Jose Arbol y Bonilla telescope, property of the state. Zacatecas also had the country's first weather observatory, located at Cerro de La Bufa and which for years provided weather forecasts for the entire country, warding off climate-related disasters. "Mr. Bonilla's sighting is very interesting and one that is not easy to explain. The dates given - August 12 and 13 - immediately bring to mind the shooting stars at the time, but it would be odd if these had not been seen in Mexico and Puebla as well. Could they have been birds? We have closely examined the photograph we reproduce in Fig. 119: the black oval shape, which is preceded and followed by thin wakes. Its length is 0.9 millimeters and its width is between 0.6 to 0.7 millimeters. The solar diameter is 66 millimeters (the sun is not in focus, but the object is). Beyond the sun, the traces appear to be shining. We tend to believe that these objects are birds, insects or suspended dust. In any event, they are objects belonging to our own atmosphere." Last week’s astronomical event known as the “blood moon” created a sensation on social media, with thousands of related photos and messages. It is a relatively frequent phenomenon, occurring every 15, 16, 17 or 18 years. The last supermoon occurred on the 27th of September of 2015, making it 14% larger than it is usually seen, and also coinciding with a full lunar eclipse. The next event will occur in the year 2028 or 2029. However, there was a strange link between the event and the manifestation of unidentified flying objects. Fortunately , it was possible to secure some visual evidence. A sequence of photographs taken in Brasilia (Brazil) shows an unidentified flying object near the supermoon on Sunday evening (the 27th). The photos were taken from Engenho das Lajes, Federal District, as from 18:00 hours. A total of 21 photographs were taken casually by the her daughter, who wanted to capture the full eclipse of the moon on her cellphone. The young woman was inside the vehicle with her father and two other people. Everyone was impressed by what they were seeing. “My daughter phoned me at the time and said: “I saw a UFO!” and I told her no, that she had seen a light and we didn’t know what it was. “Its movement was odd,” Viviane added. “I don’t know whether I believe in aliens or not. I had never considered such a possibility. I never saw anything like it,” said the engineer.The Brazilian Air Force was consulted to see whether any official records on the event could be found, but no official reply has been received up to now. In Campo Grande (Brazil), George Tamaras obtained one of the more impressive pieces of evidence. His video displays the transit of a UFO during the supermoon.It was a ball of white light and it glowed intensely. The likelihood of the object having been an airplane was removed by the UFO’s lack of a definite position. A witness in Buenos Aires (Argentina) also managed to record the astonishing astronomical event, being able to capture the exact moment at which several unidentified objects appeared on the scene. “Last night, some objects were seen crossing [the moon] during the eclipse, and many people following the event on the TV claimed seeing a shooting star. It is clear that this was not a meteorite or anything similar. Rather, these were elongated bolides, like cigar-shaped UFOS. At least that’s what my recording shows,” said the witness. A military flier says he pursued the object involved in the Manises Incident right to the island. 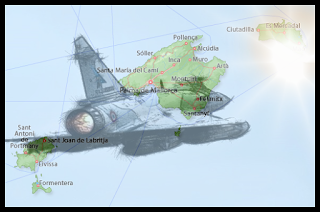 The retired air force officer described in detail his pursuit of unidentified objects while aboard a Mirage fighter - a chase that led him to Menorca. 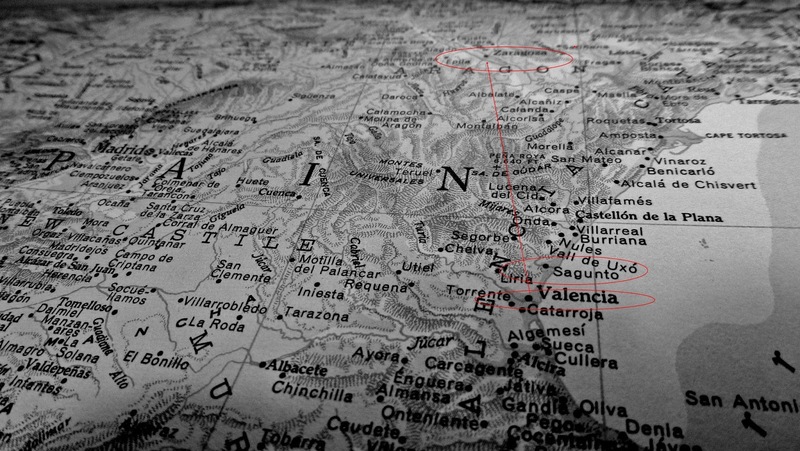 The unknown object incident that occurred on 11 November 1979 and popularly known as the Manises Incident is probably Spain's most famous UFO case. The mystery even reached the halls of congress, where deputy Enrique Múgica requested an explanation of what had taken place. 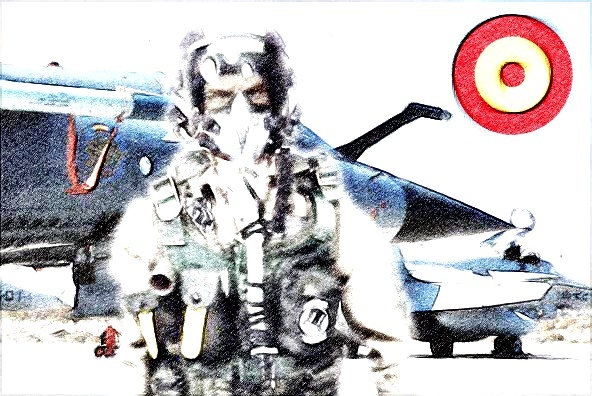 There have been ample discussions about the incident, particularly following the declassification of the Ejército del Aire (Spanish Air Force) files in 1994. But two decades later, the story is once again in the news, and in this case, with a connection that involves Menorca. 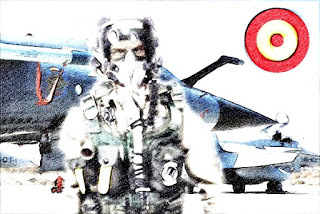 All of this arose from an interview on Radio Valencia (Cadena SER) of one of the main witnesses, retired Air Force Captain Fernando Cámara. 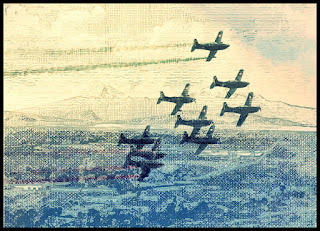 The military man complied with the order to takeoff from the Los Llanos Air Force Base in Albacete in a Mirage fighter with the goal of intercepting some red lights that were stalking a commercial flight of the now-defunct TAE airline, which had just taken off from Mallorca on its way to Tenerife, and was forced to make an emergency landing in Valencia with 109 passengers aboard. "I saw the light, although my radar didn't pick up anything. I was flying some 1000 kilometers an hour, and when I caught up to it, the light went from being static to flying in front of me at the same speed. I was aware that the object had detected me, because my fighter's alarm systems were triggered. But I was only able to see it with my own eyes," said Cámara on the radio broadcast. The military jet requested permission to go supersonic, but when the pilot managed to approach the object, it matched his speed. 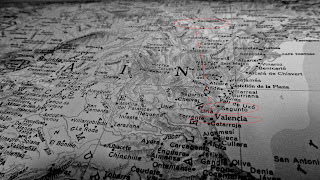 He decided to pursue it to Zaragoza, but he decided to break off pursuit. Returning to Valencia, he was asked to fly over the vicinity of Sagunto, where strange lights had also been seen. 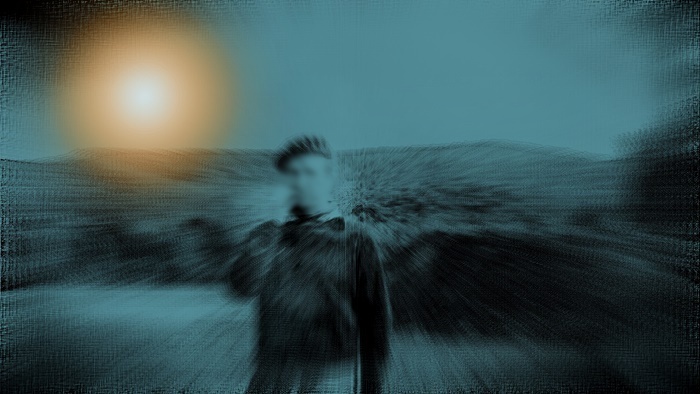 "When I got there, I found myself facing a white disk. It was very different from the other light, but the interference it caused on my plane was the same. I chased it to the Menorca area, but faced with the impossibility of reaching it, and given the lack of fuel, I decided to turn back," he said. Our friend and colleague Arq. Claudio Mora of Mexico's La Esfera Azul is sharing two recordings of unidentified flying objects (UFOS) with eyewitness accounts. These sightings took place between the months of July and August 2015 over Morelia, the capital city of the Mexican state of Michoacán. Footage of the red UFO - the first one in the video clip - is from August 2015, recorded by Manuel Rivera Oviedo. The second UFO was recorded "moments after the recordings followed by the eyewitness accounts" in the direction of the Morelos Stadium. The original video is credited to Geovana Estrella Núnez, with post-production by Arq. Mora himself.